New to the toy range is the fleece soft ball. Based on the traditional, sectional, beach ball pattern with a circle patch at each end – I have mixed it up by mixing up all the bright colours and patterns and adding a different colour with the end spots. The fleece means that the toy is super strong – but still lovely and soft – and just chuck in the wash when it gets grubby. The seams are double bound sewn for strength and the ends are sealed under the spots. This means that they are stronger than the average toys you get in the supermarket – so will give loads more fun for your pet. 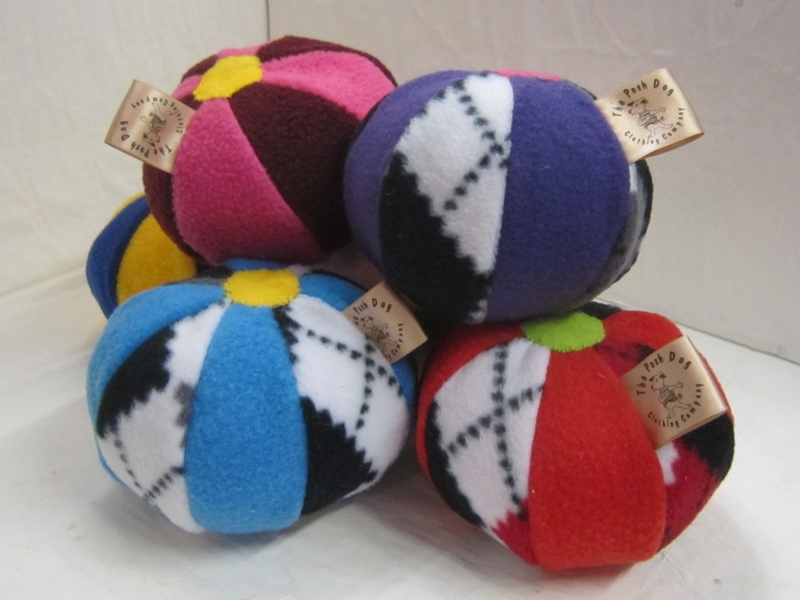 They are listed in the shop – all the balls are the same size and are £3.50 each.